That might be a good new slogan for Chateau Malescot St. Exupery, a wine so good it helped turn a robbery last week into a group hug. Each guest gave the robber a hug. He had another sip of wine. He evidently felt it had proven to be a wonderful evening of camaraderie, apart from the whole gun-to-the-head thing, generally considered a faux pas. Before he left his new friends, he asked to bond with them once again: “Can we have a group hug?” he asked. Hugs obtained, he fled. The police later found the wine glass, unbroken, in an alley near the home. 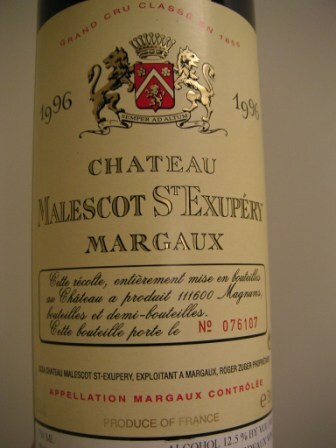 Chateau Malescot St. Exupery: Damn, That’s Good Wine. I’ve contacted the fine people at the Chateau Malescot to suggest that they adopt this slogan in recognition of this incident and in honor of the life-saving abilities of their heroic wine. I expect to hear back from them shortly.